We are an evolutionary genomics lab interested in understanding the processes that generate species and genomic diversity. 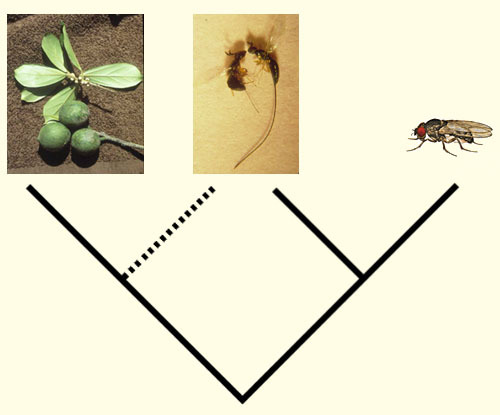 We work in 3 basic areas: (i) understanding the genomic basis of species divergence in Drosophila using population genomic and transcriptome data; (ii) using comparative genomics and population genomics to study domestication and adaptation in crops and human parasites; (iii) understanding the evolution of the fascinating mutualism between figs and their fig pollinating wasps. All contents copyright © 2016 Carlos A. Machado. All rights reserved.